March 19, 2018, 2:00 p.m. Salad has evolved from its humble leafy-greens-and-tomatoes origins to now being bowlmates with chicken, fish, nuts, and just about anything other topping one can think of. Americans are eating up all these salad combinations and according to a recent YouGov poll, more than eight in ten (83%) say they “like” or “love” salads. Research from YouGov Omnibus reveals that some say they don’t like salads but will still eat them out of obligation (8%) and even fewer say they don’t eat salad at all (5%). Women report that they “love” (49%) salads more than they “like” (38%) them. The inverse occurs among men who favor salads with more saying they “like” (41%) the dish than they “love” (39%) it. 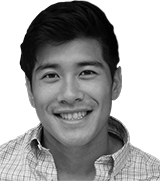 Men (9%) are also more likely than women (6%) to say they eat salads because they have to and not out of preference for them. Not all groups express the same level of enthusiasm for salads though. While Americans over the age of 55 (90%) are the most likely to “like” or “love” salads, just 60% of young millenials (18 to 24) say the same. These younger millennials are the most likely to say they eat salad only out of obligation (15%) or that they don’t eat the dish at all (12%). YouGov Profiles allows for a look at America’s favorite kind of salad, especially among salad fans. 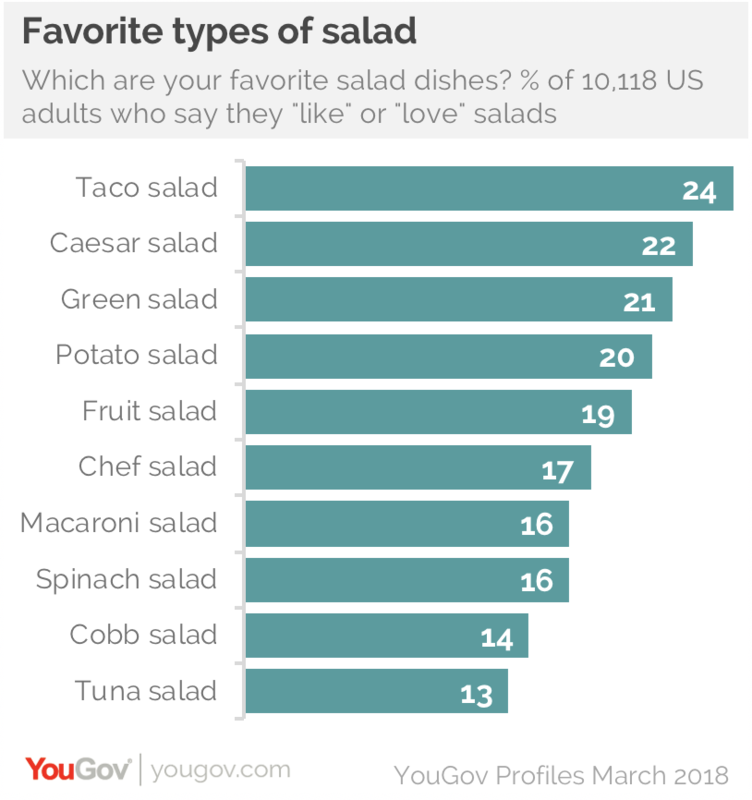 Those who “like” or “love” eating salads say the taco salad (24%) is their favorite variation of the dish followed by caesar (22%), green (21%), potato (20%), and fruit salads (19%).